If Arsenal are genuinely serious about appointing a director of football for the first time in the club’s history, then there really is only one man for the job. 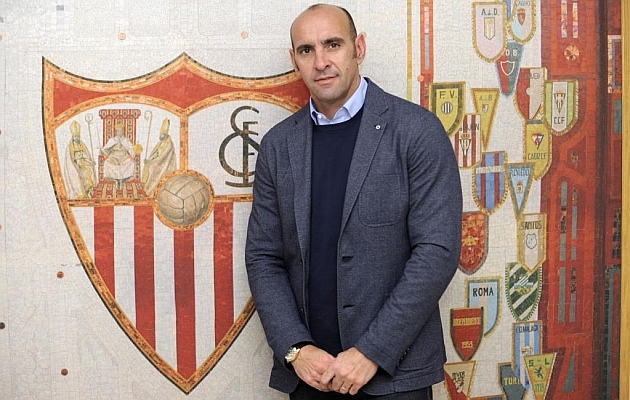 His name is Ramón Rodríguez Verdejo, although you may well know him as Monchi, and his decision to leave Sevilla has sent Europe’s biggest clubs into a frenzy. During his 17 years with the Spanish club, the 48-year-old transformed the club to leave them with a productive youth setup and an unrivaled scouting network which spans across all corners of the globe. The academy has been a booming success since it was revamped by Monchi, with Jose Antonio Reyes, Alberto Moreno, Jesus Navas and Sergio Ramos all examples of the impressive talent that is now coming through the club. However, it is Monchi’s work in the transfer market that undoubtedly makes him so desirable to all of Europe’s elite clubs. Armed with little money he has wheeled and dealed like a stockbroker, buying low and selling high. Recent estimates put the total profit he has made for the club on transfers at around £150m, while the destination of the players sold speaks volumes. Barcelona, Manchester City, Real Madrid and many others have all raided Sevilla, eager to snap up talent they had missed years before. There are countless examples of Monchi’s magic to call upon to highlight his talents as a director of football, but there are a few in particular that stick out in recent years. Geoffrey Kondogbia was signed from Lens for £3.5m in 2012, he would go on to leave for Inter Milan in a deal worth £25m. Bacca was acquired from Club Brugge for £6m and went on to smash over 20 goals during his two seasons in La Liga. AC Milan forked out over £20m to snap him up. Ever Banega was a measly £2m from Valencia, while Arsenal fans will be intrigued to know that Grzegorz Krychowiak cost just £5m and not the £30m that the Gunners were quoted when they tried to buy him before he went to Paris Saint-Germain. The jewel in Monchi’s crown, however, is without doubt Dani Alves. The defender cost just £500,000 after scouts in Brazil spotted him playing for Bahia. Now he is arguably one of the best right-backs of all time. Is Monchi the right man to be the new Director of Football in North London? But it is not just taking player’s from obscurity that makes Monchi so sought after. The term ‘Moneyball’ is one that is often banded around these days. Like Billy Beane with the Oakland A’s baseball team, football sides are desperate to find value where others don’t. Many have tried, many have failed. Just look at Liverpool. Monchi, unsurprisingly, has been a stunning success. Take Ivan Rakitic. During his youth the Croatian was tipped for success. He shone at Basel and Schalke, but still no one was taking that much notice. Except Sevilla’s scouts, of course. Trips to Germany had confirmed Monchi’s suspicions, this was a talent waiting to flourish. Just £2m later he was Sevilla’s. It is Monchi’s method for finding talent that is untapped and undiscovered that makes him such a perfect fit for Arsenal. Think back to the first years of Arsène Wenger’s reign when so many singings were met by queried looks from supporters as the latest unknown player walked through the doors at Highbury. Just like Monchi is now, Wenger was unearthing gems. Constantly he would sign a player who would go on to be sold for sometimes four times the price to one of Europe’s biggest clubs. Indeed, in many ways, Monchi is very much a modern day Wenger when it comes to transfers and his ideals in the market replicate that of the Frenchman. But in this ever-changing world, Wenger has been left behind by the likes of Monchi. The scouting world is not what is was 20 years ago when Wenger started. Back then it was quite feasible for a manger to scour the world for new players and coach his team, but with so many clubs’ resources booming the level of time required is much, much greater. It is a saturated market which requires constant monitoring and scouting. That is why a dedicated director of football, like Monchi, is required at the highest level. With so many clubs fighting in the market and stretching their reach across the globe for players, you need an individual who can give his entire time to transfer business. And, while that maybe painful for someone like Wenger to hear, it is the cold, honest truth. With his ability to operate outside the world of expensive transfers and find value in an inflated market, Monchi is the man to take that burden off Wenger. His CV of work at Sevilla speaks for itself and his transfer philosophy should be in line with Wenger’s, meaning a harmonious relationship can blossom. What’s more, Monchi is available in the summer after deciding to call time on his stint at Sevilla. Arsenal will have to move fast, though. Roma have already made him a formal offer, while the likes of Liverpool and Manchester United have sounded out the Spaniard in the past too. Indeed, Monchi confirmed on Monday his next move will be abroad. “I’ve listened to Roma and I’ve told them how I work, it’s a project that I like. It’s a nice city,” he told Spanish radio station Cadena Ser. “I would never go to another Spanish team, I’m going abroad, that’s where I have to be. Let’s just hope one of those offers from England includes an approach from Arsenal. Simon Collings is a journalist in addition to being a Regular Columnist and podcaster here at #ABW – check him out on Twitter at @sr_collings. This entry was posted in NewsNow, The Bergy Blog and tagged AFC, Arsenal, Arsene Wenger, Finances, Gunners, Premier League, Transfers, Wenger. Bookmark the permalink.